Alumni Zuri And Red Graduated! Zuri (formerly Faith) met another GSROC alumni Red (formerly Red Dog) at obedience class at Crossroads Pet Resort in Stanton. 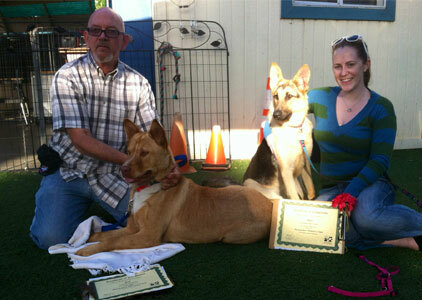 Zuri and Red quickly became friends and both passed obedience class with flying colors!